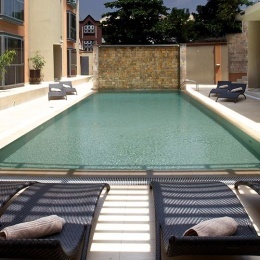 Situated nearby the Lagos business districts of Ikoyi and Victoria Island, The Wheatbaker hotel is placed perfectly for any traveller. 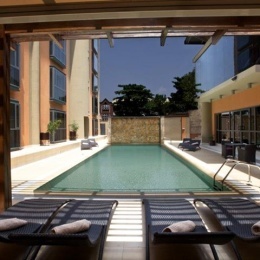 Located only 35 km from Murtala Muhammed International Airport, The Wheatbaker is destined to become Lagos’ top lifestyle, luxury accommodation and entertainment address. Enjoy fine casual dining where being comfortable is as much a priority as delivering the finest service and food. Take inspiration from the Nigerian climate, South African and local cuisine, grills, seafood, pastas and much more at The Wheatbaker Grill Room with its lush decor. The Grillroom - Specialising in prime steaks, seafood and a range of international dishes with a local selection of national favourites. 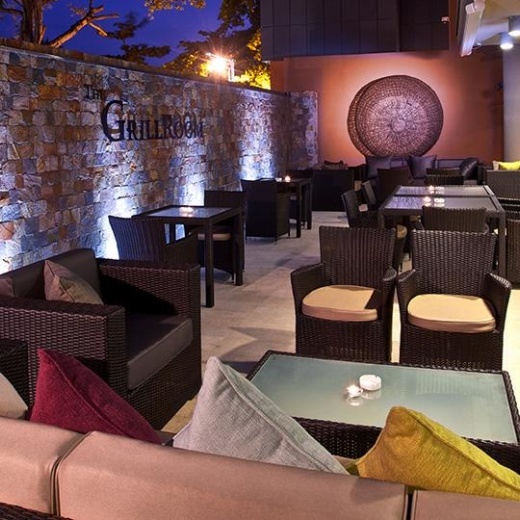 The Grillroom Bar - Linking onto the pool terrace, this comfortable bar and lounge is the ideal venue for social or business meetings. Saraya Deli - A modern and fresh venue offering exciting and healthy dishes to eat-in or take home. Al fresco breakfast available. The Grill room bar is much more than a Bar. It is different, innovative, charming and modern. Serving great Wine, Champagne and Cigars. From the kitchen, delight your palate with all 5 senses when selecting any of our items from the snack menu. The business centre is fully equipped for all forms of business and secretarial activities and can be accessed 24hrs a day. Free indoor as well as outdoor parking is available at our guests’ disposal. Fully equipped gymnasium available to residents with well trained and professional staff available to attend to all guests’ needs.